If you have ever been on a long bicycle ride on a day with a substantial wind, you may have had the same thought that the makers of CycleWing had while doing the same. They started working on the idea that if the wind is strong enough and blowing from the right direction, how can one leverage it to inject a wind powered adrenaline rush into their ride? CycleWing is a bicycle-mounted green technology that can turn almost any bicycle into a wind-propelled vehicle. 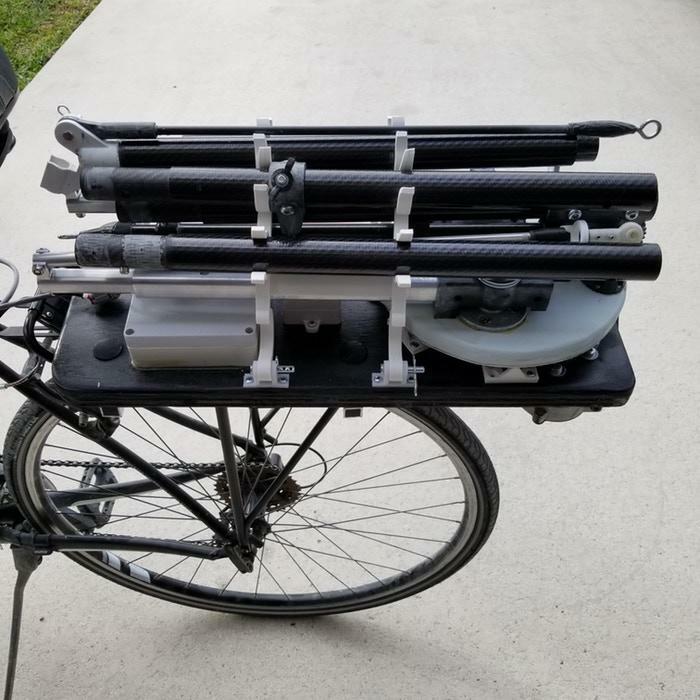 This patent-pending CycleWing unit is compact, lightweight, and installs easily on most bicycles. Their campaign named, CycleWing, A Deployable Wind Propulsion For Bicycles is now live on Kickstarter. The engineers who developed CycleWing says it was made for long distance touring along country roads, using it in crowded cities would have obvious shortfalls. The mastermind behind this project is Jorge who is the founder of CycleWing. He says he is a Software Engineer by day and an inventor by night. As per Jorge, the first prototype was realised in early 2017 and today’s prototype represents many cycles of re-thinking, redesigning, recreating, and retesting. And they understand there are still more improvements to make. Ain’t you excited to get your hands on one? Previous Post It is simple to get printed.